1. There’s Space For Everyone! There will be enough space to entertain everyone. A reunion is a time to get together and remember all the fun times and make new memories with loved ones you may not get to see often. And, if this family reunion happens to feature a big family sleepover, you won’t have to worry about not having enough places for everyone to sleep. Some of our cabins can sleep up to 84 people, so we’ve got you covered when you decide to have a Smoky Mountain family reunion. The backdrop of the mountains through the windows, or just the mountains outside, will make a great family photo. Plus, you can get great photos throughout the whole reunion in the cabin. You can get shots of your aunts chatting in the kitchen or your family shouting at a TV as their favorite sports team scores. You can even snag a few pictures of the mountains themselves or pose for beautiful family photos on the decks of the cabin. Either way, you’ll end up with some amazing pictures. 3. Game Room For the Kiddos! You can rent one of our large vacation rentals with a game room for the kids to use so the adults can talk. This is a great way to help keep the kids occupied, and the adults just may unleash their inner child as well when they see the foosball table. The kids will enjoy having a room they can hang out in, and you’ll enjoy the peace of mind of knowing where the kids are at all times. Plus, it’s just fun to have a game room when you go on vacation! You’ll definitely want a pool if you’re going to have a family reunion in the middle of the summer. A large vacation rental with a pool would benefit everyone. Imagine the cute pictures you could get and all the games that not just the kids would play. A pool would offer not just another thing to keep the kids distracted, but also a great place to make new memories. The Smoky Mountains would be a great fit for a family reunion because there is so much to do here! A large vacation rental in the Smoky Mountains will provide enough space for everyone so you don’t have to worry about reserving enough rooms for everyone in area hotels. The whole family can be under one roof to laugh and catch up with each other. 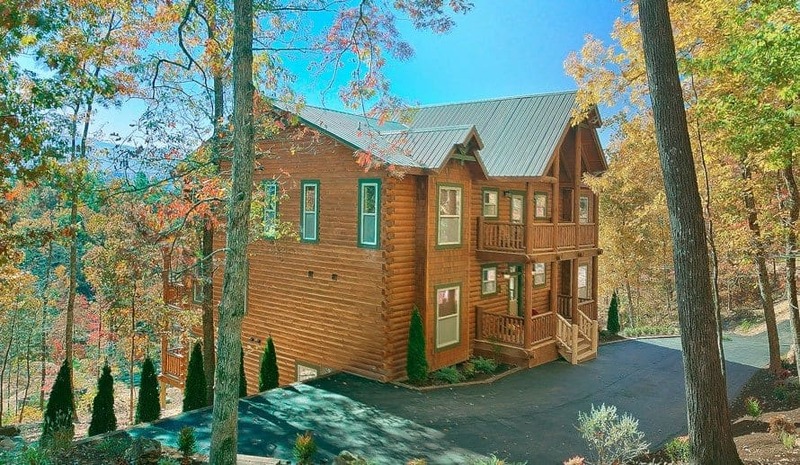 Click here to check all of our large vacation rentals in the Smoky Mountains!